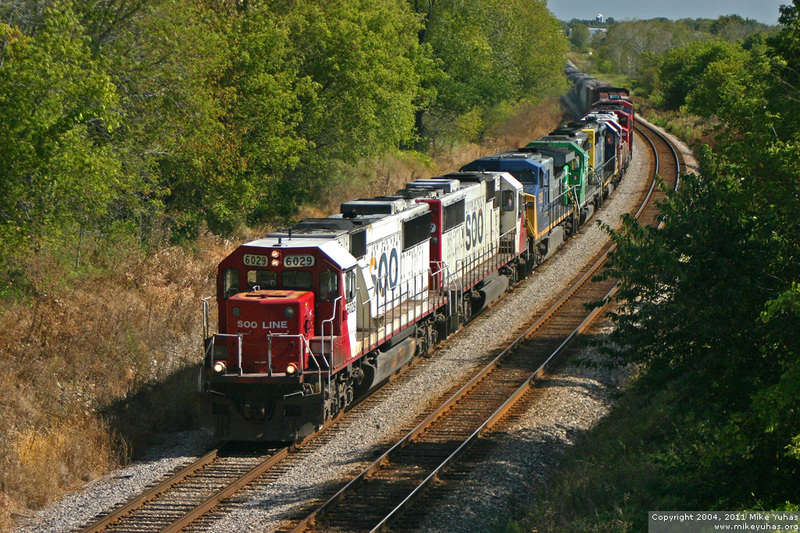 West of Reeseville, Wisconsin, here's westbound Canadian Pacific train 297 in the charge of Soo SD60 6029 and seven (!) additional units. It's tough to shoot a white locomotive on a bright and sunny day.